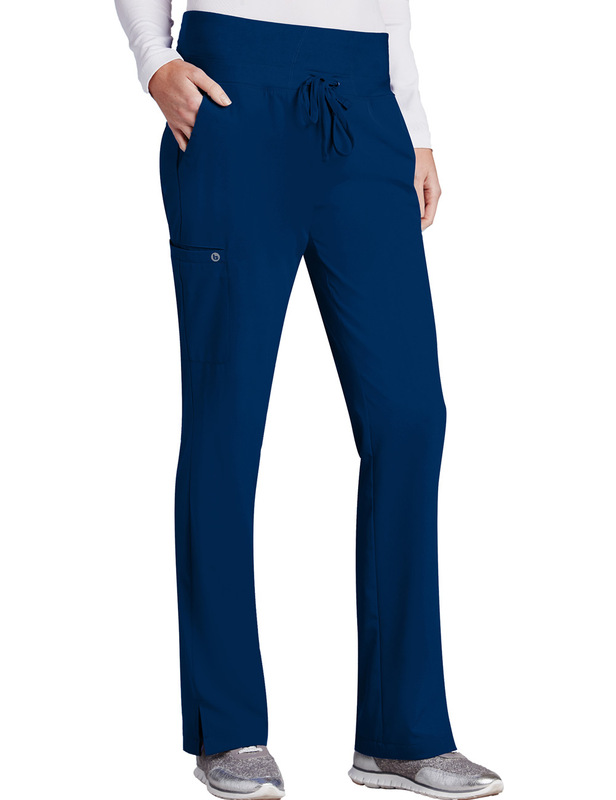 5-pocket midrise cargo with a high knit waistband and all around elastic plus draw tie, and flare leg. Modern fit. 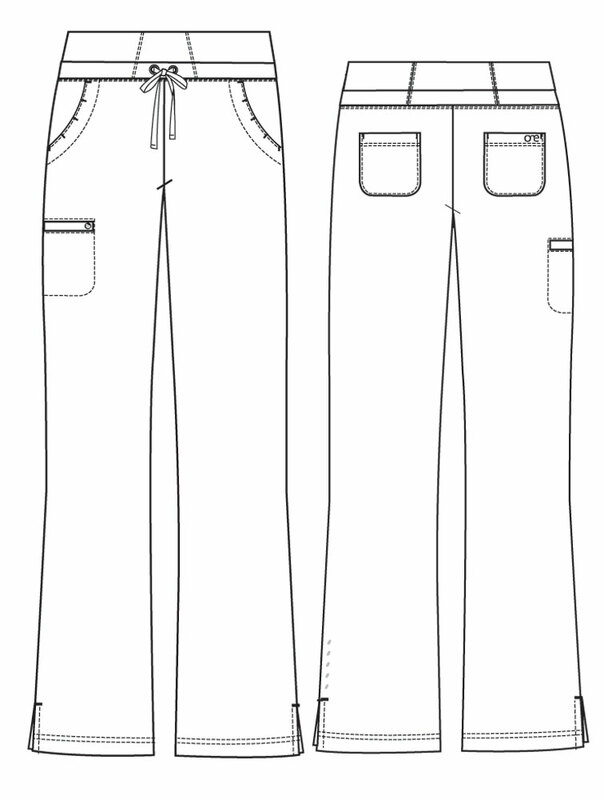 Inseam: Regular - 31.5", Petite - 29.5", Tall - 33.5".